Hong Zhang was born and raised in Shanghai, China. Despite growing up in the midst of the Cultural Revolution, Hong had the unique opportunity to study Chinese calligraphy and brush painting under the late Master Artist, Shen Shijia. Through this professional training, he developed a passion for the cultural and poetic aspects of this traditional art form, and continued his studies at the Shanghai Fine Arts Institute. In 1985, Hong immigrated to the United States as an MBA candidate at the Carlson School of Management. After two and a half years, his wife, Qing, and son, Michael, followed and they began to build up their home. Fueled by his desire to share his artwork and cultural traditions with the Minnesotan community, he founded the Hong Zhang Studio in 1992. Word spread quickly and he soon had a group of dedicated students. Many of Hong’s students began at a young age and continued through high school graduation and into college and young adulthood; a few have gone on to pursue art professionally at schools such as the San Francisco Academy of Art University. He also holds classes for adult students, some of whom have been studying with Hong for over 17 years and have now founded their own teaching studios. In 1995, Hong also began teaching beginning and intermediate Chinese Calligraphy courses at the University of Minnesota. To this day, his courses have been immensely popular among the college students. Hong receives dozens of requests to open another class from students on the waiting list at the beginning of each semester. In February 2009, Hong opened an exhibition entitled “Chi: Capturing the Spirit” in the Inez Greenberg Gallery at the newly renovated Bloomington Art Center. The gallery featured both his masterpieces and the works of eleven of his most advanced students. Hong’s works were done in traditional and modern art styles and encompassed a wide range of subjects including the Yellow Mountains in China, the Black Forest in Germany, and even the local Minnehaha Falls. The exhibition was highly praised and is a testament to both Hong’s mastery in his art and to his dedication to cultivating impeccable technique, passion and appreciation for Chinese calligraphy in his students. Currently, he is already preparing the next group of young, dedicated students to join him in his next exhibition. In the classroom, Hong not only emphasizes the importance of mastering the brush skills and techniques of calligraphy, but also focuses on giving his students a broader appreciation of Chinese history and culture. In addition, through the discipline and concentration required to study calligraphy, his students have learned to be diligent, to set goals and work towards achieving them, to rise to challenges, and to act with integrity both in and out of the classroom. Hong also incorporates the importance of artistic collaboration among his students. Starting in 2005, he has held an annual event bringing together his advanced students and challenges them to each use their creative strengths to produce one piece of unified artwork. Through his teaching experience, Hong realized there was a lack of model textbooks on Chinese calligraphy styles and techniques tailored to his students who do not speak and/or read the Chinese language, and thus wrote and published two books to help these students elevate their understanding and appreciation of Chinese calligraphy history and concepts. 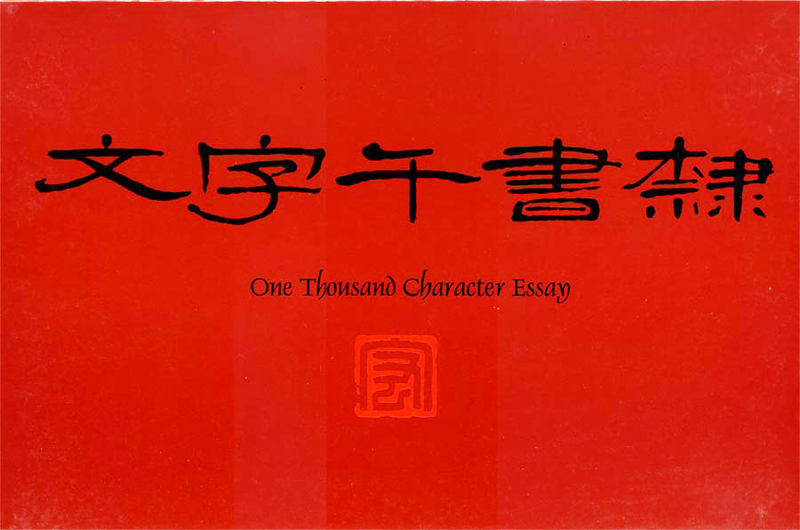 The first book, titled “Li Shu Qian Zi Wen,” used the Li Script of Calligraphy to model Zhou Xingsi’s infamous Thousand Character Essay, which is China’s earliest literacy text used for classical language study. 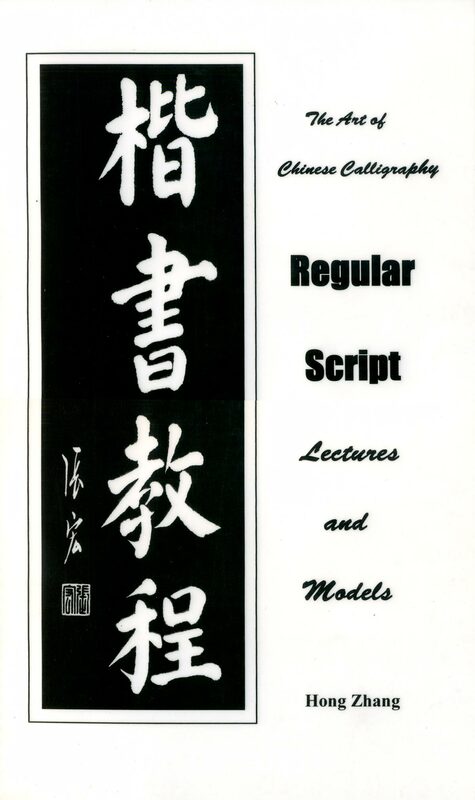 The second, “The Art of Chinese Calligraphy – Regular Script Lectures and Models,” gives a comprehensive study of Regular Script. Both books have proven to be useful tools for all students to learn Chinese calligraphy. Due to numerous requests for a book on a more advanced style, he is currently working on writing a book focused on Caoshu, the Grass / Cursive Script. Beyond teaching, Hong has also stayed committed to sharing his artwork with the community, and is grateful for the recognition he has received. His works are currently on display in numerous corporate offices and personal collections, and he continuously updates the gallery in his studio. He highlights the importance of symbolism in Chinese art, and has composed poetry for many meaningful, custom-design works for special celebrations such as birthdays, anniversaries, and housewarmings. Additionally, Hong was honored to serve as the calligraphy judge for the 49th annual Sumi-e Society of America Calligraphy Exhibition in September 2012. Founded in 1963 by Motoi Oi, Sumi-e is a national organization dedicated to foster and encourage an appreciation of East Asian brush painting. Hong currently resides in Bloomington with his wife, Qing. Besides his art, he enjoys practicing Tai Chi, gardening with Qing, and spending time with his two children. Michael is currently living in Belment, California with his wife, Cynthia, and two daughters, Aria and Lily, and is working with the Boston Consulting Group. Melinda recently moved back to Minnesota after graduating from Yale University in May 2013 and is now a medical student at the University of Minnesota.